MulteFire Open Days have become a staple on my annual calendar as they coincide with the MulteFire Alliance Members Meetings held quarterly around the world. At the end of April, Alliance board member CableLabs graciously hosted its second Members Meeting and the first Open Day to be held in Louisville, Colorado at the base of the Rocky Mountains. While being from Finland, I’m very used to snow – the unexpected snow on the Open Day still took me by surprise. This was my first trip to Colorado and the snow was beautiful, but luckily it didn’t stop attendees from arriving to learn about MulteFire™. In fact, the MulteFire Alliance is heating up! Alliance President Mazen Chmaytelli shared in his keynote that membership has tripled in the last 18 months. And in the room right next door to where the Open Day was being held, the Technical Specification Group members were hard at work on the Release 1.1 specification to target IoT applications. 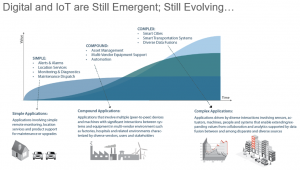 Industrial IoT and Enterprise are two target areas for early MulteFire trial deployments. For example, a forklift company has been monitoring its forklifts for many years, but nothing has been done with the gathered data. With MulteFire in place, this same company could use that data for authentication, remote diagnostics, preventive maintenance and more. It’s a lot more cost-effective and timely for an engineer to be able to identify and fix an issue remotely than to jump on a plane and travel thousands of miles to fix it. The final section of the Open Day was our panel discussion where the panelists and speakers answer the questions on our attendees’ minds. Moderated by Alex Glaser, the panel included Asimakis Kokkos from Nokia, Mark Poletti from CableLabs and Yi Shi from Huawei. With CableLabs as the Open Day host, we had a large contingent of cable operators represented in the room. Giving insight into cable operators’ interest in MulteFire, Mark commented that “MulteFire is another tool in the toolbox for emerging business models.” MulteFire deployed as a neutral host also makes sense for cable operators in venues where they dominate the environment. Other topics that came up included how to jumpstart the client ecosystem, the anticipated growth for MulteFire in the IoT ecosystem, the Alliance certification program and the importance of interoperability testing, co-existence mechanisms, and of course no discussion is complete without addressing the evolution to 5G. At the same time the Open Day was happening, my Nokia colleagues and an additional quarter of a million guests had converged at Hannover Messe, the biggest industry event in the world. 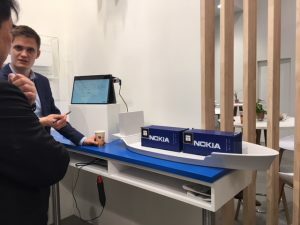 The MulteFire Alliance had a kiosk in the Industrie 4.0 area where we displayed the world’s first MulteFire small cell from Nokia, while the Nokia booth featured demos of MulteFire technology deployed in a port scenario. 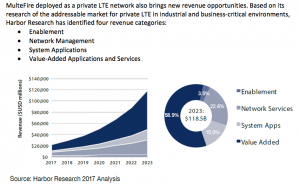 You can learn more about the Nokia private LTE story at www.dac.nokia.com. I get energized every time I attend a Members Meeting and Open Day. On one hand, we have the dedicated individuals from our member companies coming together to create the specifications that will enable MulteFire products and deployments to become a reality. And on the other hand, we have the Open Day attendees that include end users that are eager to learn more about MulteFire and how they can deploy it to achieve all of the benefits of LTE technology deployed in unlicensed spectrum. I invite you to join our next Open Day to be held in Espoo, Finland in conjunction with the MulteFire Alliance Annual Meeting hosted by Nokia. Mark your calendar for June 26 and register today.